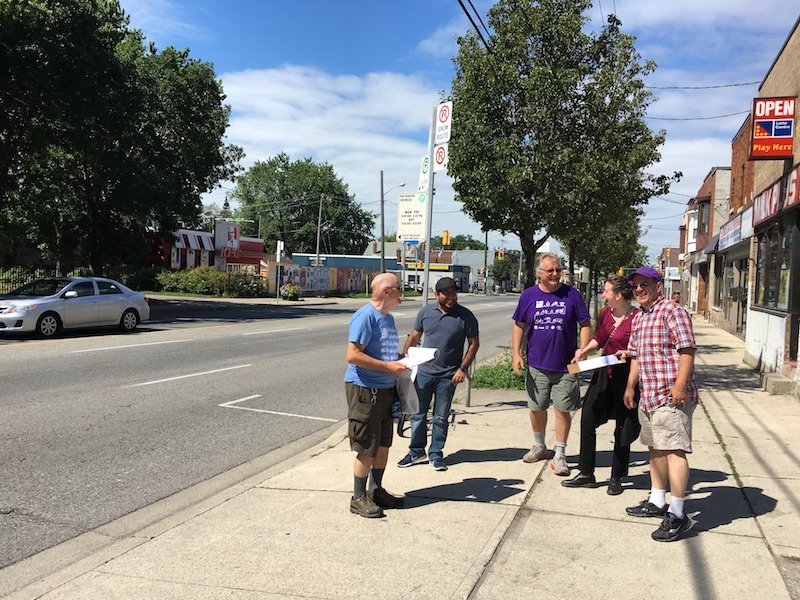 This past July, volunteers from Scarborough Cycles and Toronto East Cyclists (a local cycling advocacy group) conducted a bike parking audit on Danforth Ave., from Victoria Park Ave. to Warden Ave. The volunteer team assessed, graded, and took photos of both public and private bike parking facilities along Danforth Ave.
Having access to convenient, easy-to-use, and secure bike parking is a significant motivator for residents to choose to ride a bike for local everyday trips. 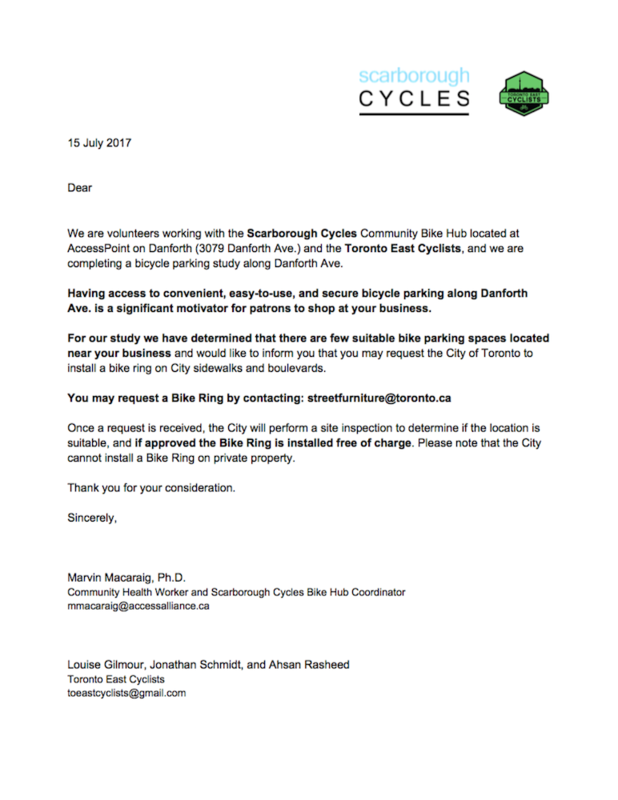 In addition, a brief one-page letter was drafted and submitted to property/business owners within the study area explaining how they may request the City to install a Bike Ring free of charge. One of the goals is to develop and test an adaptable data collection methodology that can be quickly taught to new volunteers regardless of their age or ability. Moreover, collecting baseline data of all cycling facilities surrounding our Bike Hub may help highlight developing trends, activities, and gaps in the cycling infrastructure in Scarborough. 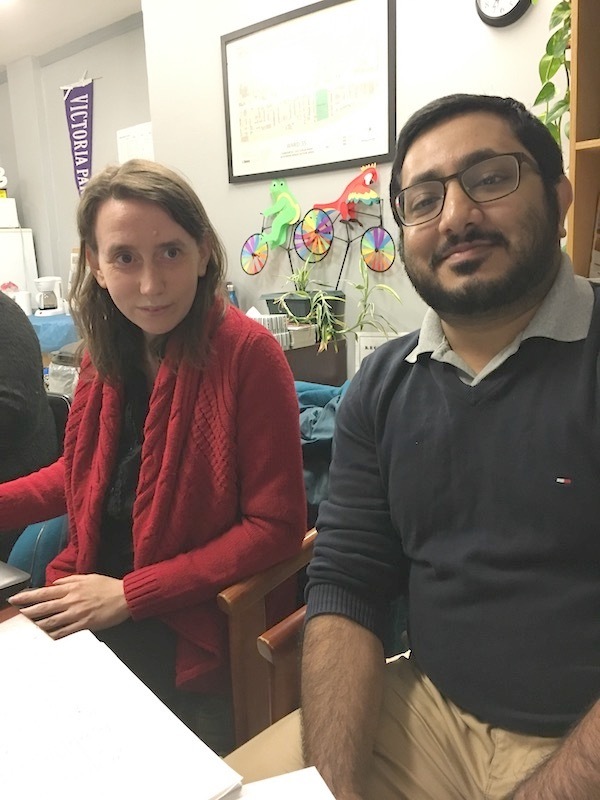 The data and observations was then plotted onto Google Maps and presented to the Board of Management of the Crossroads of the Danforth Business Improvement Area, in an effort to highlight the opportunities for businesses that are keen to improve the bike parking facilities in their community. This past August, Harvey’s and Swiss Chalet installed a bike rack conveniently near their front door. There are no Bike Rings inside of Oakridge Park. The volunteer team recommends that Bike Rings should be installed near the recently upgraded playground and splash pad. Popular destinations such as Regino’s Pizza, the Beer Store, Dairy Queen, Chester Village, and Enterprise Rent-A-Car, have no convenient bike parking facilities at all. This project is on-going, and additional audits are planned in the coming months for Danforth Ave. (Victoria Park Ave. to Main St.), Victoria Park Station, and Main Street Station. Click the link below to view the Google Map. The study was performed between 11am-12:30pm on Saturday July 15th 2017. 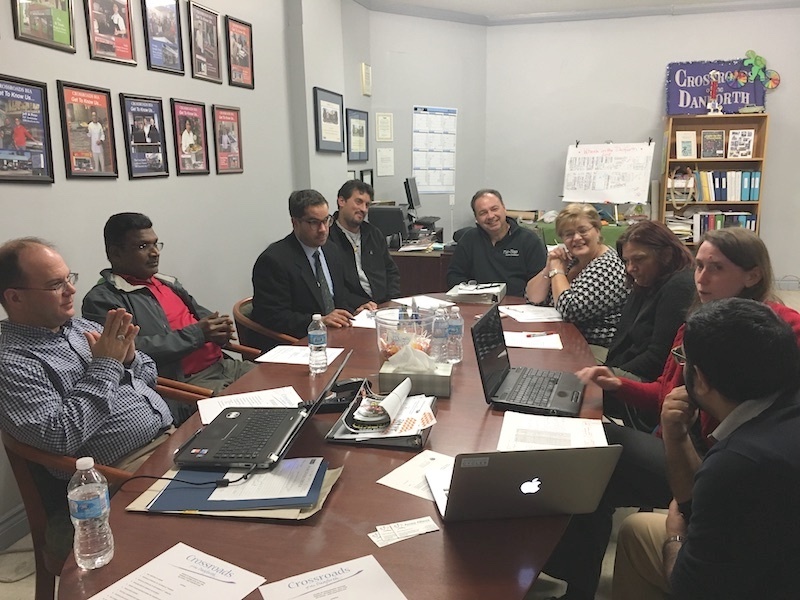 Many thanks to our volunteers, Louise Gilmour, Ahsan Rasheed, Jonathan Schmidt, and Bob Barter for their commitment to help launch this initiative. Marvin Macaraig is a Community Health Worker and the Scarborough Cycles Bike Hub Coordinator at Access Alliance Multicultural Health and Community Services.